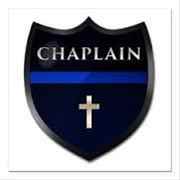 WSCU is now offing our 12 week Clinical Police and Health Care Chaplaincy certification program for only $750 if you act now. Payments can be made over three months, interest FREE! We are 100% online so you can earn your certification' anywhere in the world! The median income for a certified clinical chaplain in the US is $42,000. Invest in yourself, discoverer the rewards of Wellington Shaw Christian University. http://www.wellingtonshaw.com admin@wellingtonshaw.com 1-888-401-4012 Mention this ad and we'll waive your enrollment fee!